"start": "node_modules/.bin/webpack --config webpack.config.js --mode production"
I am pretty sure that there are some packages that are not needed, I will clean up after I make it work on Heroku. As far as I understand, I am missing webpack-cli? I tried installing that using heroku-prebuild script from my package.json, but the problem persists. If I run this locally with npm run dev it works perfectly. Using fast servers (Google's Firebase) I still get quite a delay, of 1-2 seconds while in this time the page is loaded with placeholders so no data, and the experience is not good. I do not want to put a loader UI element, but to load faster. Is there anywhere else in the code that I can put this to make things faster ? (assuming I also need to load Google's server API on the body). Removing all of this to the head should work better ? as a single line, avoiding the need to declare foo? As example, the array could be the result of "1, 2".split(', '), and you want to avoid the interim variable declaration, using "1" and "2" as the values for two of the properties (and potentially not the only properties) in a new object. I want to run node myapp.js, but it results in syntax error, since node does not support ecma6 modules (and --experimental-modules would require lib.js to be named lib.mjs). Is there any way to run myapp.js without changing the source code of lib.js? My dyno is hitting the limit of its RAM and I have no idea why. I'm currently using scout to track memory and find flaws, but only 1 function is causing bloat and has a high response time, and I have no idea why. The response time is ~5000ms, 5M allocations/req and multiple times a ~74-77M memory bloat.
""" Returns an API response """
I have contacted heroku support and the only recommended that I use more add-ons to track the usage. My app has been running consistently around 512MB RAM usage, no matter the patterns of traffic. MongoDB bought mLab, and it's not possible to create new mLab instances anymore. Even if it would be possible via the heroku panel, I don't feel it's a good idea anymore. MongoDB Atlas requires a static IP for the firewall. Opening it for the whole internet is not a good idea. Heroku is not really designed for static IP use cases, and the subscription where you have it is very expensive. So, what is the proper way to use MongoDB with Heroku from here on out? Or is it better idea to look for other databases available? I'm hosting a web app consisting of python and flask on heroku. I ran into a problem where the website seems to prompt for log in at random times even having logged in before. However, what I get is sometimes 1,1 and 1, None, which in the later case, the /login page redirects me to /login page. Does it perhaps have something to do with SESSION_PERMANENT? It is set as False but I dont expect it to time out immediately? The code I have works completely fine on CS50 IDE but somehow does not work when hosted on heroku?! Appreciate any and every help that can come my way. 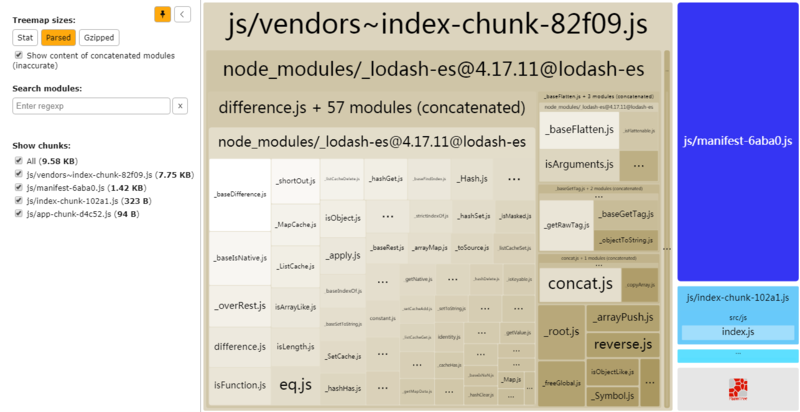 Tree Shaking with webpack 4.29,AfterI import lodash/difference,the chunk seems to be much bigger (from 1.9kb to 7.75kb) than before.the difference chunk includes many base functions which lodash/difference.js import and named begin with '_'. Can it be smaller? 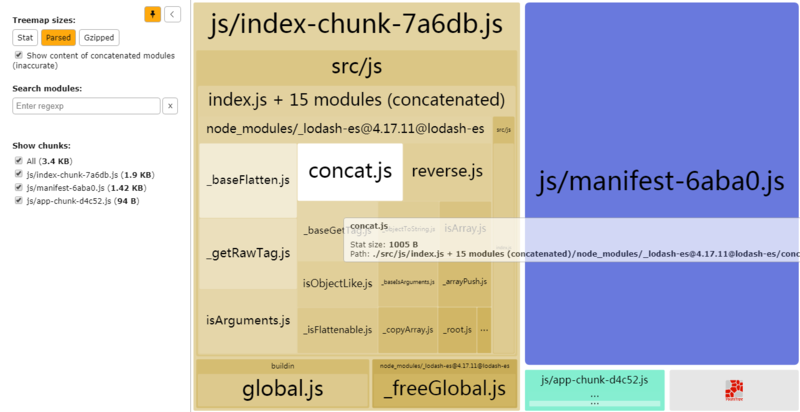 import * as _ from "lodash-es"
Is it possible to render template files (such as Pug or Handlebars) dynamically at runtime using Webpack and Express? My issue is when loading my root page (index.pug), the html loads however no assets are loading. If I remove the '/' route handler, the page loads with all of the assets just fine. What would be a future proof way of accessing it?